A charitable trust can provide you with an opportunity to maximize tax savings. High net worth individuals employ this strategy to minimize the value of their estates. By doing so, it reduces capital gains taxes on their properties. However, you don’t need to be a wealthy person to establish one. Consult with a charitable trust lawyer to see if this is a suitable estate planning strategy for you. Once you form a charitable trust and turn your assets over to them, you cannot take them back. For this reason, the IRS requires that charitable trusts be irrevocable. However, you can receive income from it, but the assets must remain in possession of the trust. Before you decide, to use this strategy, be one-hundred percent sure that this what you want to establish as you will not be able to change your mind later. 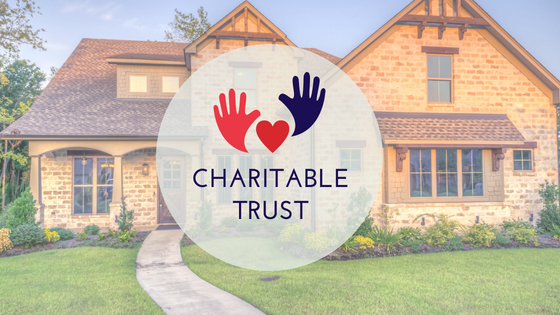 There are two forms of charitable trusts: a charitable remainder trust and a charitable lead trust. A charitable remainder trust allows you to make an income out of its assets before providing you the opportunity to leave them to charity. This income can be paid to non-charity beneficiaries, such as yourself or other family members. You can determine a set amount of time for payments or have them paid out over a lifetime. To set up a remainder trust, you must select a tax-exempt and IRS approved organization who can take over the assets. In the end, the assets go directly to the charity. A charitable lead trust works in the opposite way of a remainder trust. In this arrangement, assets in the trust generate income for the charity. Like in a remainder trust, the funds can be paid out for a pre-determined amount of time. For example, you can elect to have income paid out to the charity for 15 years and then be paid out to non-charity beneficiaries, such as children. At the end of the term, the assets go back to the grantor of the trust. Charitable trusts are an excellent estate planning strategy. They allow you to save on estate taxes, take care of family members, and perform an act of goodwill for a noble cause. Essentially, it will enable you to take care of yourself, your loved ones, and others who benefit from your philanthropic effort. If you’re considering setting up a charitable trust, contact us today to speak with an experienced charitable trust lawyer.